Last fall I was lacking motivation to run. I knew it was time to take my annual "vacation" from running. I had been training extremely hard for 9 months straight. I was basically, burnt out. In the last few years, I've resolved to take 2-3 months off from running in late fall. More than physical, it is a mental break from the daily routine of hard physical training and focused self discipline. In that time off, I allow myself to sleep-in, cook, clean, or do other projects that most people consider "normal" activities. When I first started competing in endurance sports, I did not have a feel for the need to take time off in this way. That lead to burn out and injuries. I had just about every overuse running injury on the list. It is devastating to be side-lined from running because of an injury. On the other hand, it gives you a sense of control to take time off as a choice. By doing so, you avoid the depression that undoubtedly comes with injuries. A brief conversation with my good friend John set me straight. I told him I was not ready to run...just laying low. He was training already for the 2013 season. He intuitively knew I was down in the dumps. He simply said, "Go run Jer." That was all I needed to hear. I made the decision to "go find motivation". 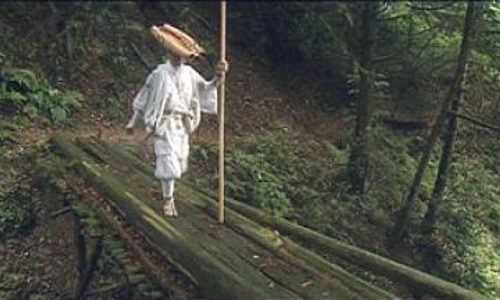 I thought about my new found interest from the previous year, which involved the research of the Tendai Buddhist "Marathon Monks". These incredible monks dedicate themselves to the pursuit of enlightenment through physical endurance. Their most amazing physical feat is the "Kaihogyo", a 7 year run broken into 100-200 day cycles. I shared a bit about the Marathon Monks in this post. I decided I needed to begin a 100 day quest. Unlike the Tendai, I would not be running 30+ miles a day. This is not at all because I think it is impossible for me. To the contrary, I truly feel physically and mentally capable of doing the actual distance of the real Kaihogyo. I decided I would work toward a minimum daily run of 5 miles and do it every day for 100 days straight. In short, the daily run is a way to focus on the here and now... As I write this, I am only a few days away from that 100 days. I failed to keep in close contact with everyone throughout the past 100 days. Occasionally, I saw a post from Mike or Ryan online which gave me the indication they were still on track. In part, I was really busy training! Once this is posted, I hope to find out whether most or all of my fellow 100 day runners made it through the 100 days. Regardless of whether everyone completed their 100 days, I greatly appreciated the aspect of feeling as if I was not alone on those days when I didn't actually feel like running. 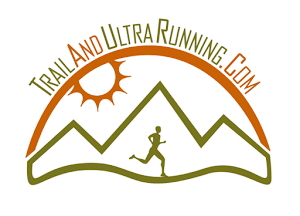 Here are a few take-aways from my experience thus far...Just like an ultra, it is too difficult to think about the entire distance, or in this case, time. I had to think about each day, individually. Each evening, I gave thought to where and when I would run the following day. This routine gave me purpose each day...I woke up with a purpose. I've found that with this sense of direction, I was happier. Most of my runs were longer than 5 miles. Just because I set a minimum distance, I rarely clicked off 5 miles and called it a day. On the other hand, there were days when I was pressed for time. I was fully satisfied to get my 5 miles and get on with my day. I used the 5 miles as a way to get speed work into my training. This is something I truly needed to do. Once or twice a week, I did various types of tempo work on my treadmill to get quality training out of my time and allotted distance. On some days, I had less than an hour. It was those days I started jogging on my treadmill and turned it into a track workout with high turn-over. I was constantly reminded of the importance to "live for today". Every run was different. Every day was different. I suffered some type of virus in January which gave me a fever and fatigue. I thought about whether it was worth it for me to get the 5 miles or just rest. I waited until the very end of the day and walked the 5 miles in 3 different sets. I remember smiling as I was finishing those 5 miles...knowing that I was going to feel better soon and feel proud that I walked those miles. I'm well aware that a 100 day running streak is not a world record. There are people who have been on a streak for decades! I came across a website crediting people with running streaks in excess of 40 years. I haven't gleamed anything profound from my 100 days...but I've enjoyed each day, each run. It is the totality of the effort over the last few months which has provided me the training and motivation for a great 2013 season. the trails despite being the new kid in town. included Bear in our daily summit runs. It always has a great pay off to get on top and look out over the busy world. the project of getting a picture with a headstand every time I find myself on the top. Ryan and I drove to Phoenix, AZ for a 50k on short notice. After a 14hr drive, we had to get our 5 miles before midnight. immediately noticed the extra oxygen in the lower elevation. were awesome to us and made us feel welcome. Just another summit. Neeraj Engineer and I on top of Green during a full day of training in Boulder. We hadn't plan on running together but when we crossed each other on the trail, we remained together for several hours. To my fellow Kaihogyo runners, thank you for joining me on the 100 day quest. I hope you enjoyed the adventure and came out stronger than you started!